Green vehicles, also known as environmentally friendly vehicles, ran on alternative fuels to ensure they have the least harmful impact to the environment. They include vehicles that ran partly or fully on alternative sources of energy that are less carbon intensive as fossil fuels. As more and more people warm up to green vehicles, many of these vehicles that have high efficiency and less environmental impact are being produced. We highlight one iconic city car that epitomises efficient, green vehicles in its class. 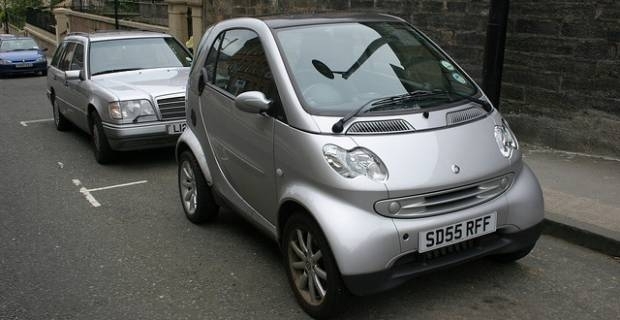 The Smart Fortwo cdi 799cc pulse is an iconic city car that leads the way in green technology with cars in its class. It has an altogether polished performance with an impressive blend of tardis-like interior, micro-sized exterior and great fuel consumption. It runs on smart diesel that offers a lot of CO2 advantages over ordinary diesel and petrol. The Fortwo features a diesel particulate filter that allows for just 86 g/km of CO2 emission. This CO2 emission levels are class-leading and way ahead of the majority in the market. They make the compromise of having to forego inclusion of rear seats in the car that much more palatable. The Fortwo, however, features a 3-cylinder, 12 valve turbo diesel that produces just 54 bhp, which allows for just 0-62 mph speeds. While this small power is worrying for some people, it is good to know that the diesel Fortwo has an impressive 6 lbs/ft of torque between 2,250 – 2,500 rpm. This torque compared to the typical 68lbs/ft at 4,500 rpm for the 71 bhp petrol makes the Fortwo much more quicker in-gear than the figures suggest. The Smart diesel Fortwo cdi 799cc pulse continues to break new ground with its quality look and feel and sleek interior space for two adults. It gives more luggage space that might be immediately apparent and an affordable price tag. Best of all, these green vehicles bring really low CO2 cars within reach of the masses. While green vehicles might not be a bargain, they are often affordable and always the smarter choice from an environmental point of view. They have less environmental impacts compared to traditional road motor vehicles, give great efficiency and adequate power to get you around safely. As a potential buyer, you are urged to make the smarter choice and buy green to protect the environment and help reduce the nation's dependence on foreign oil.